Zoll AED Plus is designed for the 50% of people who do not need a shock, but DO need CPR. You deserve an automated external defibrillator (AED) that helps you all the time. And, only one AED can actually see when you are doing CPR, and help you do it well. ZOLL’s AED Plus features Real CPR Help®, a CPR feedback tool that is able to actually see what you are doing and provide feedback to help you do it well. Audio and visual prompts help you rescue with confidence and clarity unmatched by any other automated external defibrillator (AED). Pediatric Friendly. Separate and specific algorithms for adults and children are used to analyze a victim’s heart rhythm. The ZOLL AED Plus can defibrillate children up to eight years of age, using the Pedi-padz II electrodes. 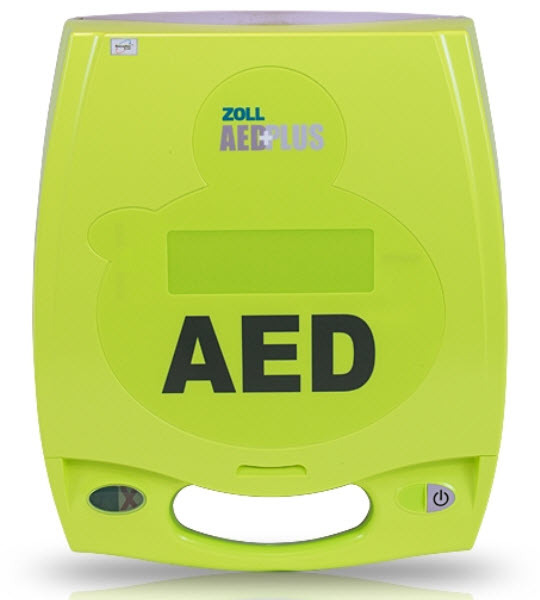 ZOLL AED’s come with a 7 year manufacture’s warranty. Think that the ZOLL AED Plus is the one for you?